In case you haven't read Philemon and don't want to take 2 minutes to read all 25 verses, here's the gist of it. Paul is in prison. He has become buds with a guy named Onesimus who used to be a slave under Philemon. It's not clear in the book, but it seems like most people think that Onesimus was a runaway slave, having escaped from Philemon. Paul writes to Philemon and says that he's sending Onesimus back to him. As I read it, it's weird to me that anyone could arrive at any definitive conclusion about Paul's thoughts on slavery based solely on this book. That just doesn't seem to be the point. If you want to know what the Bible says about slavery (or anything) it seems like the starting point should always be Jesus. He said that the two greatest commandements are to 1) love God and 2) love your neighbor as yourself and then he personified that love by dying for his enemies. With some things, like how to deal with hypocrisy in the church, the gifts of the Holy Spirit or whether or not there are popcorn trees in heaven, we may have to dig around and find more specific teachings and principles from Paul and the other apostles. However, if we're talking about things like slavery or violence, I really don't think we need to dig any deeper than Jesus' life and words. Word began over a year and a half ago and we're now on the home stretch. 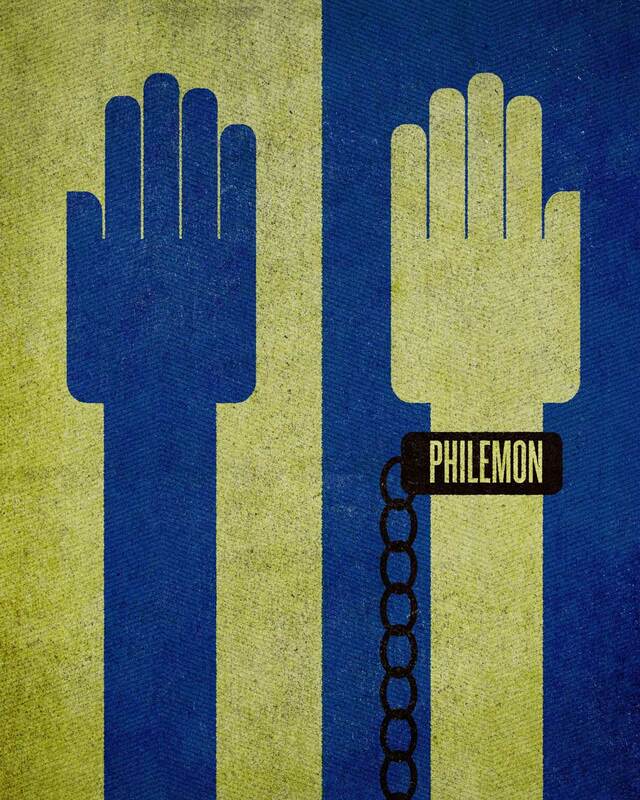 Philemon is book 56 out of 66 total (that's where the 84.84% came from). Thanks to all of you who have followed along, whether you jumped on board in the Old Testament or are a recent Word convert. I don't ask for tweets and shares that often, but if you dig this project, please consider sharing it. Let's finish this thing with a bang!